Remove unwanted junk & recycle your unwanted scrap metal. Find a local Scrapper near you! scrapper to remove your items for less. Many of your items can be recycled for free or for a low fee. furniture / garbage / trash removal services in your area. 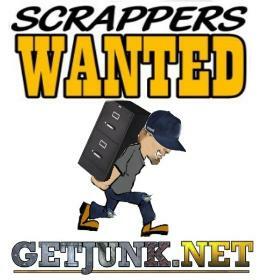 Find Scrap Metal Pick Up Services & Cheap Junk Removal Service Near You. ©2019 GetJunk.net. All rights reserved.